با استفاده از پلاگین Email as Username شما می توانید مانند سایت هایی مانند فیسبوک و آمازون ایمیلی که کاربر با آن ثبت نام می کند را جایگزین نام کاربری او نمایید. 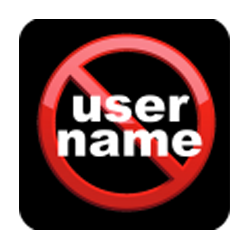 Make Usernames in Joomla a thing of the past! Less fields means more registrations, conversions, sign ups...! Without core hacks, EmailAsUsername removes the username field from the registration and checkout pages of Joomla!, Virtuemart, JomSocial and many other popular extensions. Users can then login with their email address and password as normal! Whats more, EmailAsUsername will now remove the “Display Name” field from the Virtuemart checkout page, increasing checkouts even more!